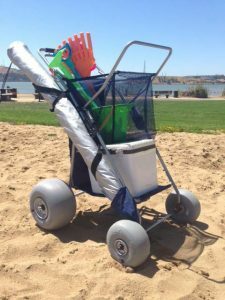 WheelEEZ® Beach Conversion Kits for Wagons and Beach Carts quickly convert most conventional wagons and some carts into a beach ready wagons. 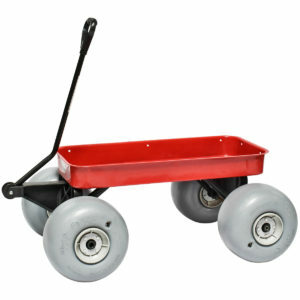 Replacing the existing undercarriage on your wagon and adding our Polyurethane Balloon Wheels gives you the best beach day advantage. Upgrade your Sandusky Wagon using WheelEEZ® Sandusky Conversion Kit so that it can handle soft sand and other challenging terrain. 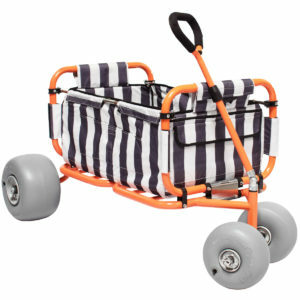 With WheelEEZ® polyurethane balloon wheels the beach is no longer off limits to your Sandusky Wagon.